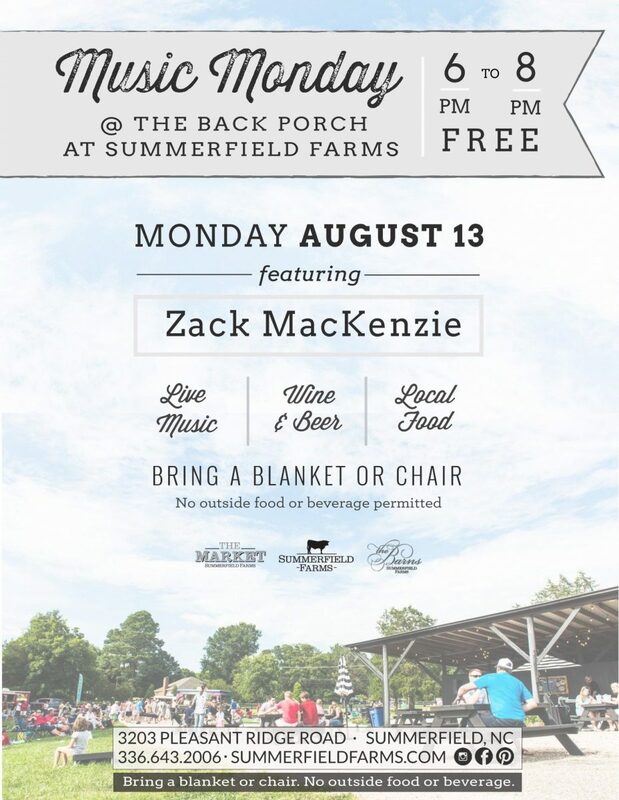 Join us at The Back Porch for acoustic covers performed by local musician, Zack MacKenzie. We’ll have wine, beer, & snacks available for purchase. Patriot Pretzel will be here serving up hot, homemade pretzels. Cool off with a sweet treat from Shaved ParadICE! Make sure to bring a couple of chairs to get cozy. See you at The Back Porch, this is an event you won’t want to miss!